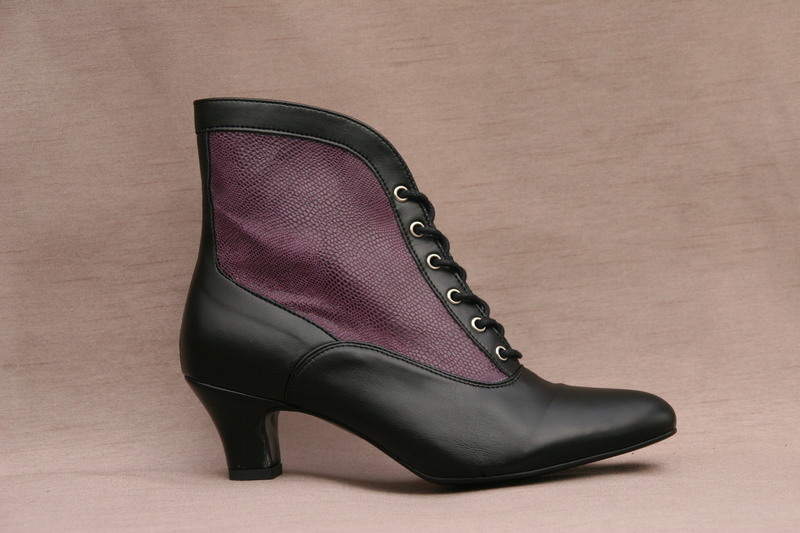 BEAUTIFUL SOFT BLACK LEATHER UPPER WITH EMBOSSED PURPLE PANEL AND UNIQUE FLOWING CONTOURS THAT WILL ENHANCE ANY OUTFIT. THE BOOTS HAVE A PADDED BREATHABLE LINING AND LEATHER INSOLE. THE HEEL IS APPROX 2 INCHES = 5 CMS AND THE HEIGHT OF THE BOOT IS APPROX 7.5 INCHES = 19 CMS.